I am excited that you have chosen to learn Spanish. 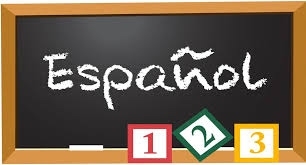 This should be a great year, and I look forward to helping you in your continued desire to learn Spanish. Learning a new language can be both a lot of fun and a lot of work. I want you all to know that I want everyone to be successful in this class, and I am always willing to answer your questions and help if you ask. In turn, I ask that you all do your part by coming to class prepared every day. My philosophy is simple; it is my job to help students build a solid foundation in the language learning process as well help them develop free-thinking critical skills, and demonstrate to them that with “ganas” si se puede. In return I expect a positive attitude, an open mind, and willingness. I cannot promise that this year will be easy, but I can promise that it will be productive. Students can and should check Schoology for class resources that include directions, help with assignments, rubrics and due dates. I was born in a small town called Luperon, 5 minutes from the beach in the Dominican Republic. I enjoy the everyday challenges that teaching brings, and sincerely believe in the abilities of each and every one of my students, and take both their successes and difficulties personally.